Day 6 is “Back to Basics”. CTMH items on sale up to 50% off! Save up to 50% on selected items and exclusive product bundles during our Boxing Week sale! Today’s deals are only available until 11:59 pm (MST) tonight , while supplies last, so be sure to check them out before they are gone! Today is “Back to Basics” for the cardstock and inks. Inks continue to sell out quickly. The “You Are Here” physical Cricut Cartridge is $45 vs $99! There are some other fun items like beautiful Lagoon and Red post bound albums, memory protectors (aka page protectors), mini albums, and Christams papers! I’m glad to see the basics up here as they are a cornerstone for our crafting. It will be nice to rejuvenate my stash after all the holiday crafting! Stock up on some of your basics and wish list now. Every order on my websiteduring Boxing Week will get an extra goodie in their Happy Mail! Day 5 brings Sunshine! 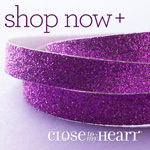 CTMH items on sale up to 50% off! Today is a “Sunshine Day” with the color palette featuring shades of yellow for the cardstock and inks. Inks continue to sell out quickly. There are some other fun items like a Washi tape bundle, watercolor palette, mini albums, and Christams papers! Every day between Wednesday, December 26, and Monday, December 31 we’ll be introducing savings on selected products. Tomorrow will be the last day and different products. The deals will only be available for a limited time while supplies last, so check back right here every day at 12:00 am (MST) to see the newest deals. So exciting! New CTMH for sale! Today is a “Green Day” with the color palette featuring shades of green for the cardstock and inks. Inks continue to sell out quickly. There are some other fun items like white albums on sale, a bundle of pigment ink pads, and the solo numbers. Thanks for stopping by my corner of the internet. Enjoy these great discounts with the sale. Do you love blues and teals? If you do, you’ll want to check this sale out on the paper and ink! Albums, die/stamp combos, Cricut Artistry physical cartridge, and the alphabet and numbers die sets as well! Thanks for stopping to check out my corner of the internet. Enjoy the Boxing Week sales. New CTMH on sale – Day 2 of 6 Days! Calling all of my purple peeps!Today you can save on cardstock and ink pads with reinkers. Save up to 50% on select items and exclusive product bundles during our Boxing Week sale! Today’s deals are only available until 11:59 pm (MST) tonight , while supplies last, so be sure to check them out before they are gone! All orders from the Boxing Day Sale will receive an extra goodie in your Happy Mail! Check out the purple! Thank you for stopping by my corner of the internet! Enjoy Day 2 of 6 day of the Boxing Week Sale. We’re ending 2018 with a bang, offering discounts on a wide variety of crafting items, including workshop kits, accessories, tools, stamps, ink pads, and more — save up to 50% on select items! Every day between Wednesday, December 26, and Monday, December 31 we’ll be introducing savings on selected products. All Boxing Week Orders will get a little extra “something something” in your Happy Mail. Have fun shopping the sales this week! Here’s to 2018 Boxing Week Sale to end the year with a bang. We can stock up! Using C1731 Birthday Party Hat, here’s a “z-fold” card that shows off the Oh What Fun paper to celebrate a birthday. Barb did a great job demonstrating how useful this paper collection is. Want to learn how to make this card? Ask me! I’m happy to show you how. Thank you for visiting my corner of the internet. I know that you have lots to do and appreciate your time. Hopefully, you’ll see something that will spark your creative juices and you’ll have a creative day with Oh What Fun! The December Stamp of the Month is a great alphabet that looks like it’s for Christmas only but the Free Kit of the Month shows you they can be used for anytime! Just change the color and you have it made! =) Check out these amazing cards in the kit. The kit comes cut and ready for you to die-cut and stamp! Embellishments are included. Thanks for stopping by and checking out the kit of the month. Have a creative day! !